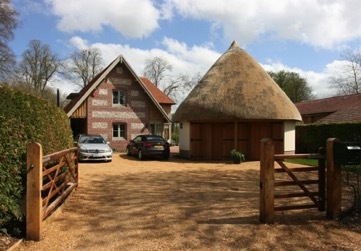 This new house and garage can be found in what many call the archetypal ‘Chocolate Box Hampshire Village’, surrounded by thatched cottages and within a stone’s throw of the site of the long-demolished Wherwell Abbey. 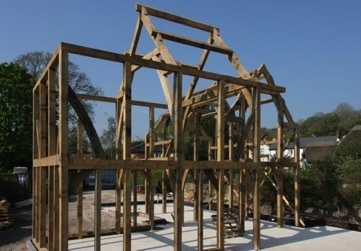 As the name of the property implies, this cracking site is on the edge of the meadow, and as a consequence, a pile foundation supporting two oak frames evolved into long, low-roofed cottage structure, standing close to a two storey oak clad garden room and master bedroom suite. 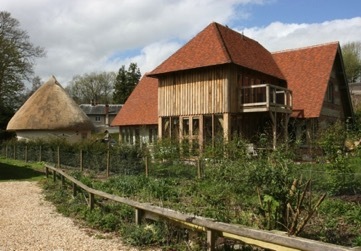 The garden room is glazed on three sides and picks up the sun’s heat for the house as a whole, and commands a view of the water meadows beyond. 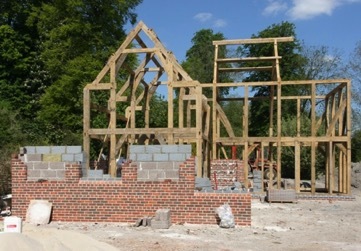 The garage is also an oak frame with a central king post. It takes the form of a thatched rotunda, with an internally exposed structure, and topped off with a bat roosting space - or ‘bat cave’, as humorously identified on the structural drawings.